The 21st century has come up with a new revolution in the era of technology, today at the age of globalization it has become mandatory for every business to be digitized. In India, after the declaration of Digital India program by Modi Government, there is a kind of flood in the field of web-business. E-businesses are not only increasing in Delhi/NCR but in whole India (including rural area) all the businesses such as B2B and B2C businesses are developing day by day. Many people are occupied much in developing businesses & services on time; they mainly prefer online marketing rather than off-line marketing. As you know that online marketing is convenient than off-line marketing. 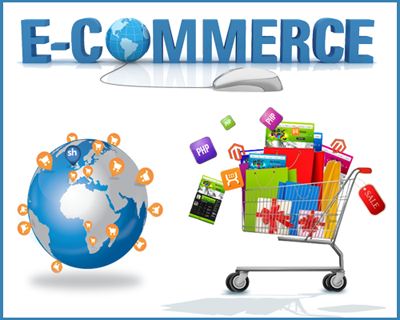 Presently, E-commerce websites are the optimum solution for business owners. Because they can sell their products to a large number of customers without having a gigantic shop and the customer can buy products simply with one click. Many E-commerce websites such as Amazon, Flipkart and Snapdeal etc. are making billions in a day. Apart from it, there are many well-known websites for different- different business. Meanwhile, it becomes essential for every business to come online because online markets are increasing every day. Many people think that it is impossible to become topper of their field as their competitor has already made an empire by doing e-business from so long. 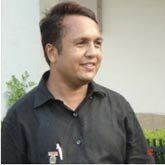 Here I must advise them, nothing is impossible in the world and impossible says them I M possible. It could be hard but definitely possible, I will show you how & who can make it possible. Not only this they have all the solutions of e-commerce website development and digital marketing in Delhi/India. If you have any aspiration to have or launch your own e-commerce website, they have highly experienced & expert team that can surely make e-commerce site & business on top gradually. In an interview, they have claimed “We are one of the leading E-commerce website developers in Delhi- India, running with the time and adopting the changes, as a result, we know how to develop optimum e-commerce portal with all required tools and services. Nevertheless, we are very much concern about the security and the personal information of the customers. We know the importance and need for the security so our prime concern is security in order to make a customer feel free to shop on the website. Therefore to get E-commerce development services and all solution & maintenance with high technical support, one should go with jeewangarg.com. For uplifting your E-business and high rating over E-commerce website or E-commerce website developing in Delhi/India get in touch with them.